Maybe a New Year’s Resolution would be to cook several new dishes in 2019. Not necessarily anything wild and crazy, just something you haven’t tried before. 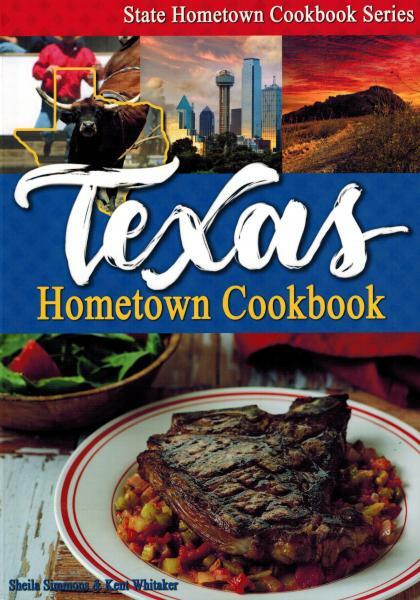 Texas Hometown Cookbook by Sheila Simmons and Kent Whitaker (Great American Publishers, $18.95 paperback) offers dozens of down-home recipes in a colorful new volume. They divide the dishes into 14 categories, including a separate chapter just on chili and another devoted to Dutch oven cooking. The section on beef contains 30 recipes, as does the chapter on vegetables and side dishes. The poultry chapter offers 14 ideas, including one called “Thanksgiving Leftover Turkey Nachos.” Under pork, the authors present Debra Tanner’s award-winning recipe for “Honey-Pecan Pork Cutlets” that comes highly touted by the Texas Pork Producers Association. Texas Hometown Cookbook offers plenty to read, drool over, and consider trying out, and it’s loaded with color photos. 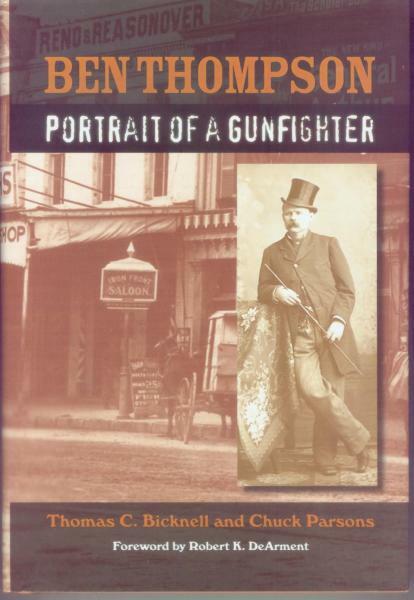 Gunfighter: Texas author Chuck Parsons has teamed up with Thomas C. Bicknell, who has studied the life of Ben Thompson for years, to produce an authoritative biography of a colorful Texan, Ben Thompson: Portrait of a Gunfighter (University of North Texas Press, $34.95 hardcover). The hefty volume totals 688 pages, the last 150 or so consisting of appendices, endnotes, bibliography and index. So the actual biography is a little over 500 pages. The 17 chapters are packed with action from Thompson’s life as an Indian fighter, Texas Ranger, Confederate cavalryman, hired gun, lawman, gambler, and gunfighter. He was born in England and moved with his parents to Texas at age 8. Thompson was assassinated in San Antonio in 1884 at age 40. Muleshoe: Alice Liles moved to Muleshoe 38 years ago and retired as a teacher there in 2004. 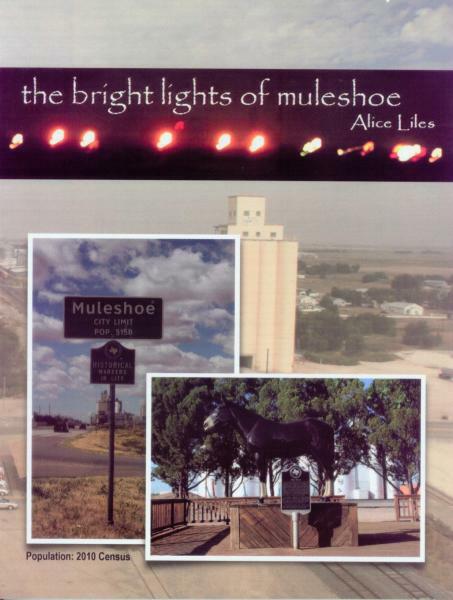 She has been writing an online blog about the West Texas town for several years and has produced a book called The Bright Lights of Muleshoe. The book includes about 50 stories, with color photos, grouped under these headings: History, Fortune and Glory, West Texas Stories, Football, and Tales from School. You can check out her blog on her web site, aliceliles.com, and order the book as well. It’s also available in paperback and e-book online from Amazon and Barnes & Noble. Glenn Dromgoole writes about Texas books and authors.